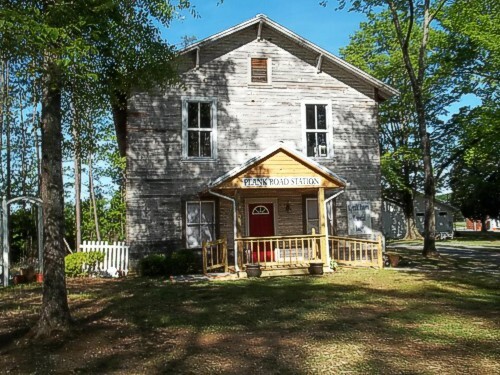 In 1921, the Winterboro Masonic Lodge was located near the intersection of current Alabama State highways 21 and 76. 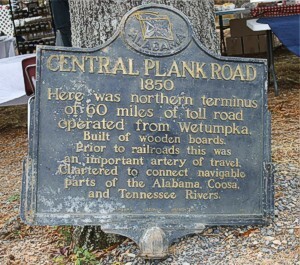 The intersection held historic significance dating back to the 1850's as being the northern terminus of a 60 mile, well traveled, toll road built of wooden boards known as Central Plank Road. Masonic meetings in the lodge were discontinued in 1957. 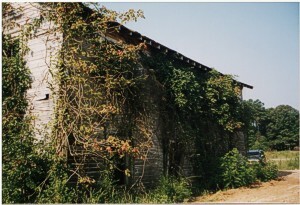 The State Historical Commission approached members of the Winterboro Educational Foundation in early 2002 about saving and restoring the historic building which lay inthe path of the widening of State highway 21 south. The Foundation agreed and undertook the task of moving the lodge to its current location in September, 2003 and began restoration. After relocation, the lodge was renamed in memorium of Mr. A.J. Powers, a lifelong resident of Winterboro and noted historian of the area, who provided direction to all phases of relocating the building. Historic marker explaining the Plank Road. The marker itself has a most interesting history surrounding its journeys and its time in the Mobile River. 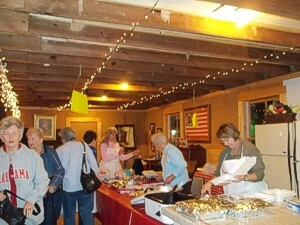 Picture of the inside of the lodge during a spaghetti supper. 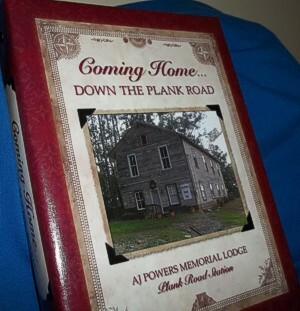 Our wonderful cookbook, "Coming Home Down the Plank Road." The lodge when it was acquired. It was a Masonic Lodge built around 1920 and used until about 1958 when the lodge disbanded.